Welcome to our first case study of the year. If you’re just joining us, we want you to know that the information we provide you is completely transparent. We understand that managing an online business is tough. That’s why we share with you are set backs, milestones, and most importantly our goals. So, feel free to comment below if you have any questions. We kicked off the month excited about VisionCon. This was our biggest event of the year and we could not wait for it. We literally were busy setting up interviews, holiday shopping, spending time with family, all while preparing for our big day. Nonetheless, we managed to accomplish a lot during the time. 1. We were featured on WUSA9 Live on Great Day Washington. When we started planning VisionCon doors started opening up for us. The more energy and work we put into it, the more opportunities became available to us. It was our first event and we already received media coverage from one of the biggest outlets in the area. 2. 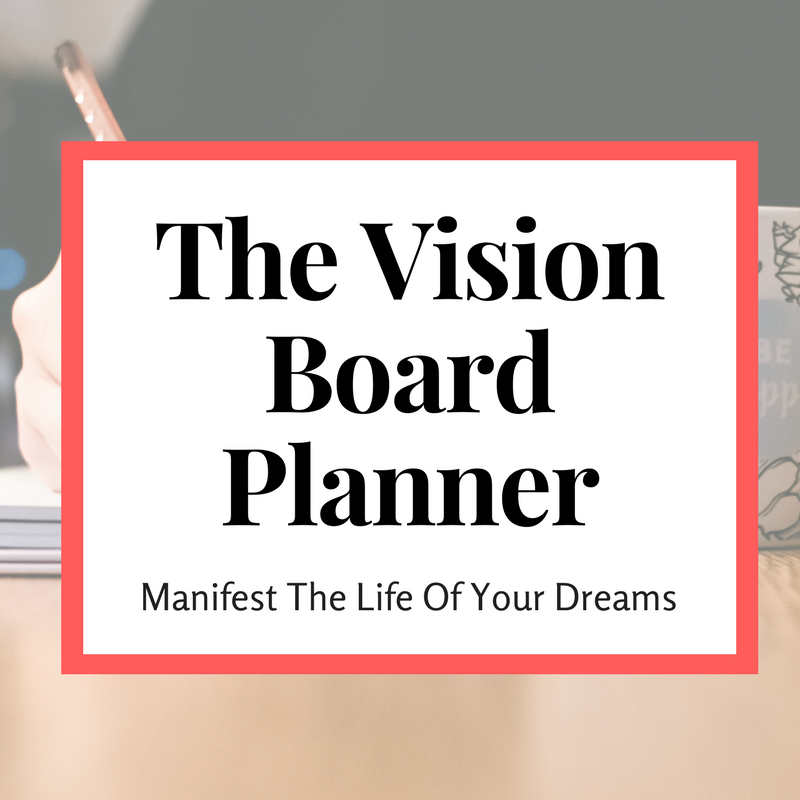 We booked 3 clients for our Vision Board workshop. We walked into the New Year having already signed a contract for our first workshop of the year. Then we eventually received 3 inquires within a 2-week span. 3. We planned our 2017 blog content calendar. This is the first time we completed a content calendar for an entire year. It took a few days but we were very comfortable with the final product. Our goal this year is to be intentional with blog posts we publish, so that it’s consistent with our mission and brand. 4. We set up the space for our new Youtube channel. We managed to create our space in less then 2 weeks. This consisted of painting, putting up decorations, and purchasing equipment to shoot quality videos. We decided to film with an IPhone 6. We were focused on planning VisionCon so we didn’t set a goal for our Facebook page. We also felt that it wasn’t worth it at the moment. Our Facebook page increased with 131 likes. We predict that this is due to our engagement level in online groups. We also encountered a few roadblocks a long the way. Don't get us wrong, VisionCon went extremely well. But lets tell you about a secret we have been keeping. Our goal was to sell 40 tickets to VisionCon but we only sold 35. Although we didn’t hit our initial goal we were pretty lucky not too. We were a little bummed on the day of the event, but once the space was set up we realized that we didn't have enough room for 40 people after all. The right number of people showed up and the energy in the room was positive, inspiring and everything we'd hoped for. Our #30DayVision Challenge really grew our email list. But, once it ended our email list stopped growing. Therefore with VisionCon out the way and the challenge complete we had no other strategy. We clearly had some brainstorming to do. By the end of December our email list remained at 170. We spent $0 on marketing services. After struggling with Facebook ads and getting little to no response, we decided to forego the spending and keep it simple. We will look into paying for marketing when we start releasing courses or e-guides. Create a 2017 Social Media Plan for the blog. Get 200 email list subscribers. Launch our 5-Day Vision Challenge. If you haven't done so you can register by clicking ---> HERE. When you fail to plan don't expect your business to grow. As you see, we had a stagnant month for the most part. We declined in viewership which taught us a very valuable lesson. 1. Always have a plan in place, especially before and after a big event or after the launch of a product. For instance, do you plan on taking a vacation after the big launch? you should identify who will be responding to emails while you are away. Or if the entire office will be closed for that period. Let your audience know so that they can be aware. 2. So you just finished running your ##30DayCampaign and you've gained a ton of new subscribers. Make sure you identify how you plan to get your new audience engaged.